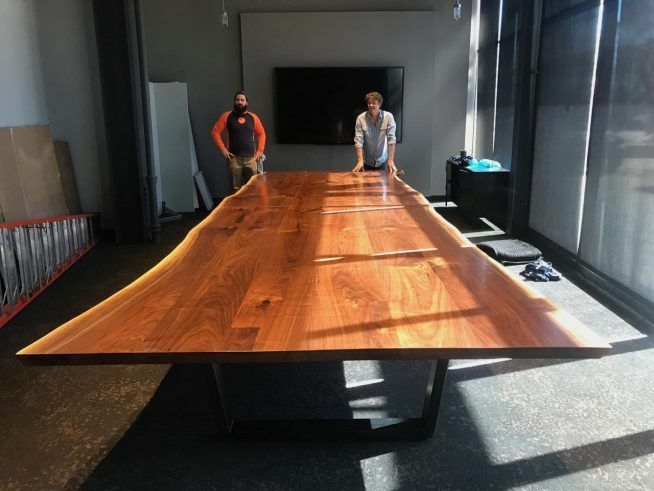 We made this 19’L x 6’W boardroom table for the Norwalk based ad agency, Inspira. 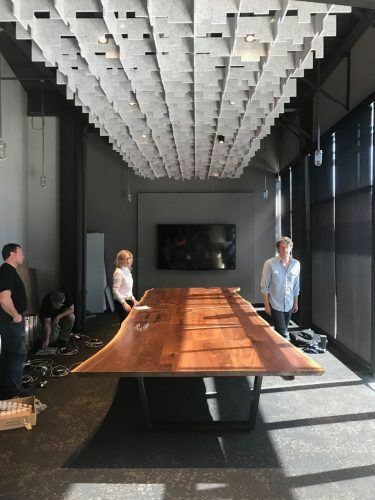 They built out a terrific new office space designed by CPG architects and furnishings by the DeClerq Office Group. 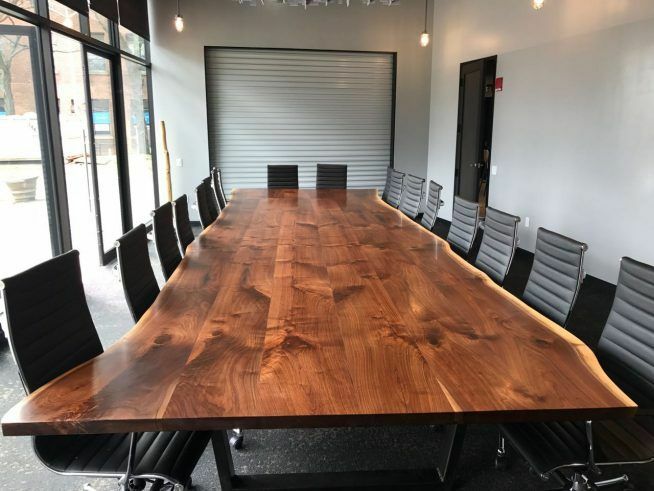 We fabricated the boardroom table, a 16′ bartop, and 50 mixed oak work station desk tops. 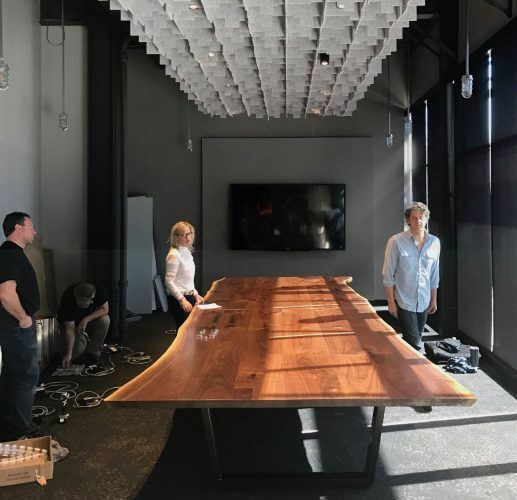 Here are some photos of the board table and the bar top. 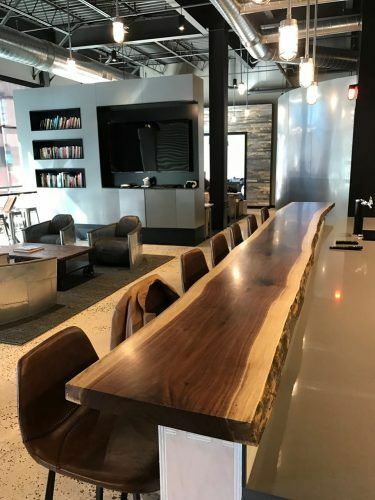 The walnut used to make the table and the bar came down from a few miles away from the new office in Fairfield, CT.